Our semi-custom collection offers five suites, each tastefully designed to appeal to your wedding style. 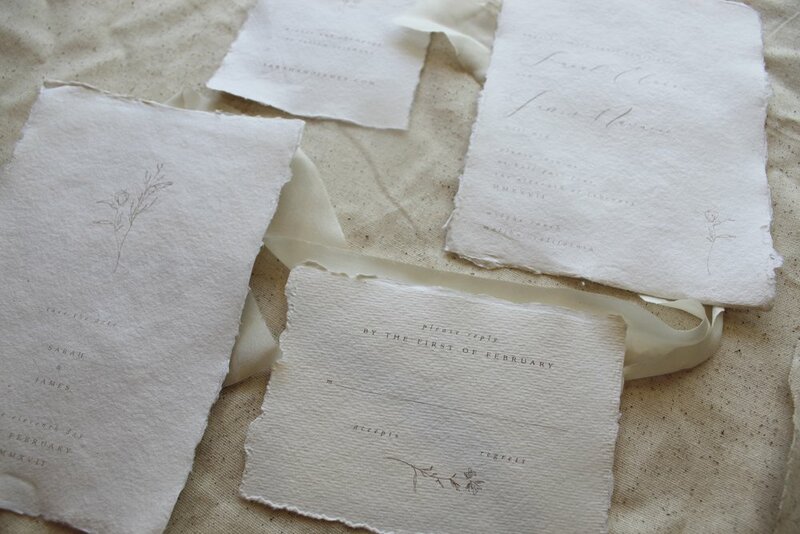 We have taken great care to select the highest quality paper and most supreme printing methods, along with sophisticated emebllishments to make each suite truly fine. 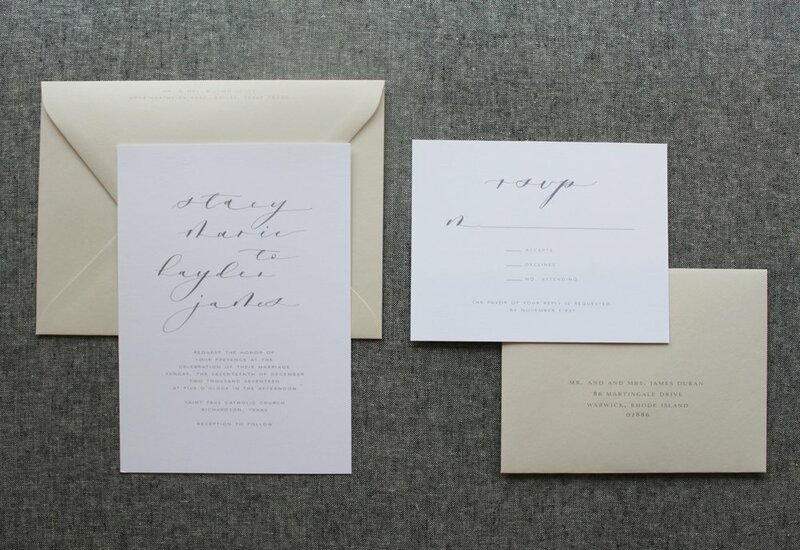 Calligraphy, font, colors, paper, printing methods, and some design elements are customizable. First, select the suite that best compliments your wedding style. Then, make the suite uniquely your own by adding embellishments, such as hand-addressing, wax seal, and ribbon. Finally, place your order, and we will contact you shortly with more information regarding our next steps. 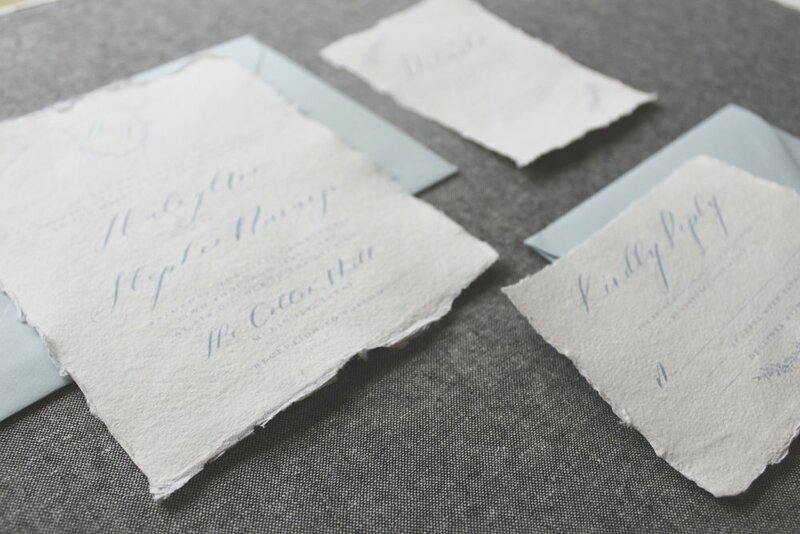 Please visit our collection guide for more information on customizable paper & printing options, calligraphy & font styles, colors & embellishments, as well as details regarding the ordering process.